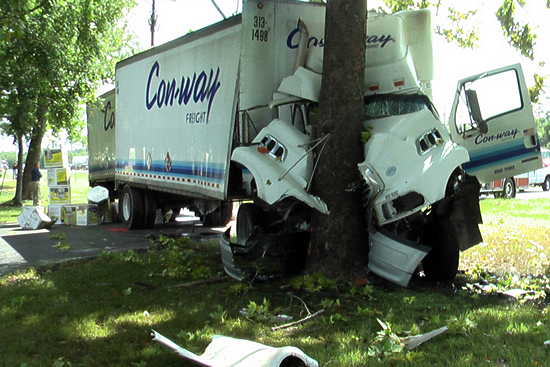 Trucking losses do not have to affect your business any more. As an insurance agency, your clients ship goods all over the country and continent and sometime you see trucking loss claims that you just know are invalid. When that happens, you call Churchill Claims and each Cargo Claims Adjuster in Texas we have, who are licensed, certified and experienced will go out and do their investigations to determine if the trucking loss claim has any merit. If your gut is right we will find the discrepancies in the report and will make that public information for you. If the claim has standing, we will publicize that information as well. We are your external compliance and quality control department on a contract basis. We are sure that you will be satisfied with the results we produce, because even when it means that your company has to make a payment, you will know that that the best result has been delivered. Our investigators will do more than just verify whether a claim should be paid out or not. We will determine the extent of property damage, billable losses and even help you create an exact valuation report of what should be covered under the client’s policy. The work we do is designed to be the fairest and most ethical in the industry, which is why most of our clients keep contracting with us to do their claims investigations. In large part because we have claims agents all over the country, we are able to determine when and where a policy should be served and it is this geographic availability that gives us a leg up on many of our industry competitors.